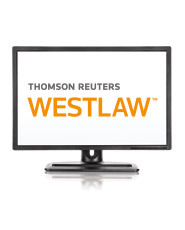 Copyright content on Westlaw provides a complete collection of US Copyright documents sent to the U.S. Copyright Office for registration and recordation including, but not limited to serial works, monographic works, and documents relating to copyright (registrations and preregistrations for books, music, films, sound recordings, maps, software, photographs, art, multimedia, periodicals, magazines, journals, newspapers, etc., as well as records for assignments, transfers, and other documents relating to copyright ownership). Coverage begins with January 1978 and content is updated weekly.